Sift flour into a large bowl, stir in the sugar and make a well in the centre. Whisk together the milk and eggs in a jug. Use a balloon whisk to gradually stir milk mixture into flour. Dip the bananas into the batter then deep fry until golden brown. 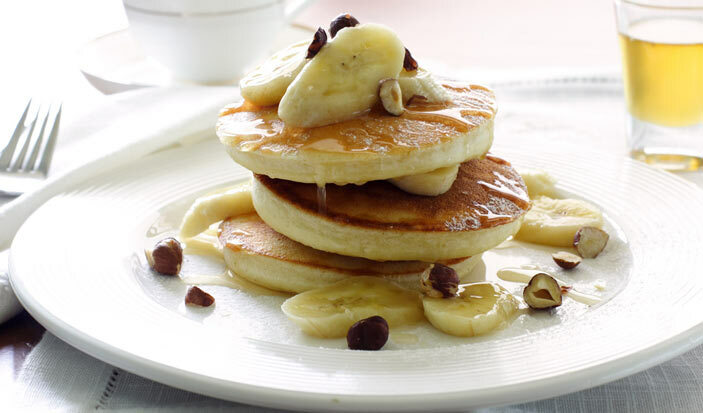 Combine all the ingredients thoroughly and serve with the banana fritters.